Golmaal Again First Weekend Box Office Collection Report. Updated. Humongous! Golmaal Again has collected a mammoth 87.6 crore nett in opening weekend at box office. This is huge. 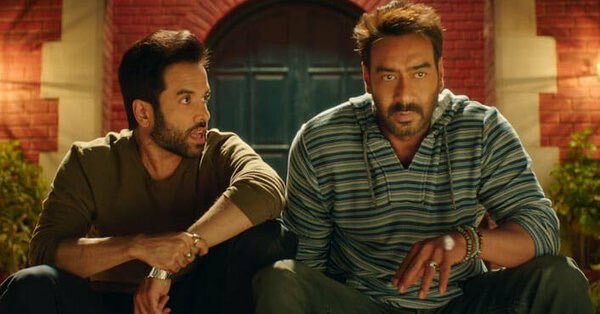 Golmaal Again has collected around 29.1 crore nett on Sunday (3rd day) at box office. Thus, film has registered another massive day at box office. Film is heading for a Big HIT and that also on power of stupendous 3 days of weekend business. Weekdays still to start. Question is now where Golmaal Again will stand in HIT zone. If film holds strong on Monday, then not only film will easily cross 150 crore nett in its lifetime, but also will challenge for unprecedented 175-200 crore nett in India. Initial word of mouth is positive and real word of mouth will be out by end of Monday (4th day). Total - 87.6 crore nett. Great ajay sir.but abhi asli Jung jitni baki hai .200cr club. Aaj k earning bhi is sal k ekad movie ko chod diya jaye to unke opening day record se jyada hi Ayega..
Is week k last tak sal k highest grossing ho jyegi..then it enjoy next weekend..tthird week me 200 pahuch jyegi..ya 4th week..200 -210crore business hona chahiye.. Bat 2.o ki Akshay kumar ne 2.o me bhut jyda fees li h, or wo bhi rajanikant ki tarh superstar h na ki supporting actor isiliye Akshay kumar ko bhi utni hi success milegi jitni rajnikant ko.